"If Hollywood's marriage with pop music is too often a marketing-driven shotgun affair, there remain musicians whose artistry can't help but elevate whatever film project they're associated with. This 19-track compendium underscores that notion, gathering a career-spanning collection of the Irish rock-R&B legend's contributions to an eclectic body of films that stretches from Pope of Greenwich Village's effusive early solo hit "Jackie Wilson Said" to the unlikely live collaboration with Roger Waters on "Comfortably Numb" that seasons Martin Scorsese's Oscar-nominated The Departed. 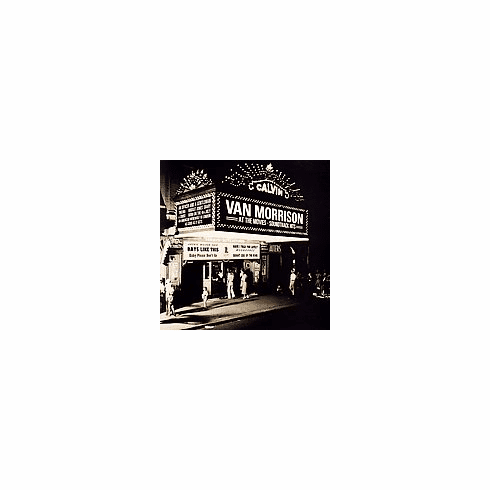 The collection serves as a concise primer to the high points of Van Morrison's mercurial career, from the gritty career-breakout hits ("Gloria," "Baby Please Don't Go") of his British Invasion band Them through such early solo touchstones as "Wild Night," "Brown Eyed Girl," "Domino," and the collection's fine, previously unreleased live version of "Moondance" from An American Werewolf in London. But, as tracks like "Wonderful Remark," "Bright Side of the Road," "Someone Like You," and his Chieftains collaboration "Irish Heartbeat" ably argue, it's also an invitation to explore less heralded, if equally seductive, corners of the singer's rich oeuvre. --Jerry McCulley "